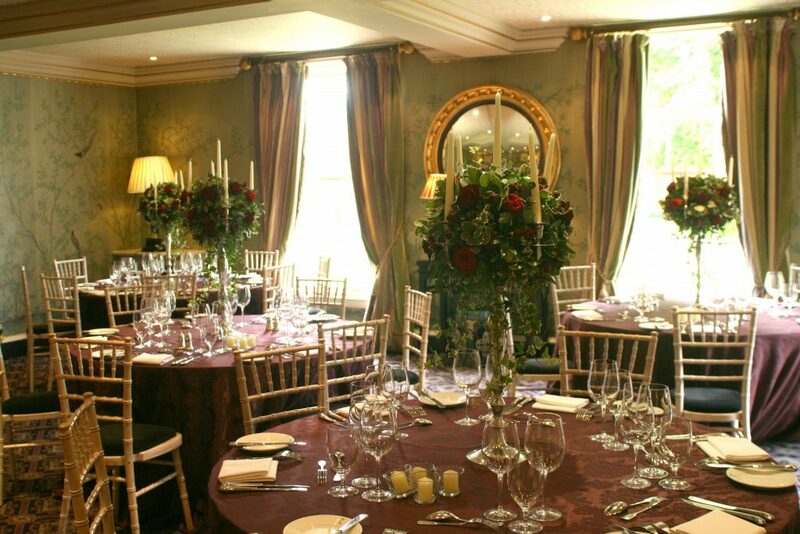 Maria & Romain were married in Edinburgh yesterday and held their wedding reception at the stunning Prestonfield House, one of my favourite venues. 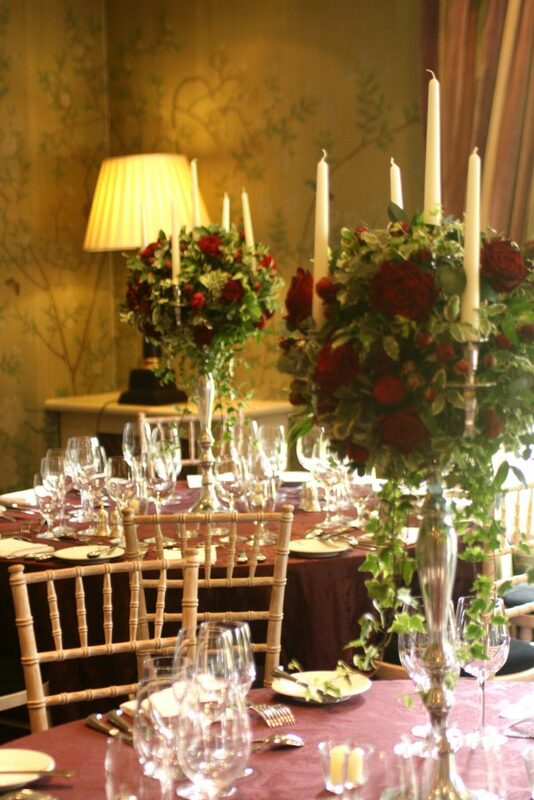 The colour scheme was burgundy/red and champagne. 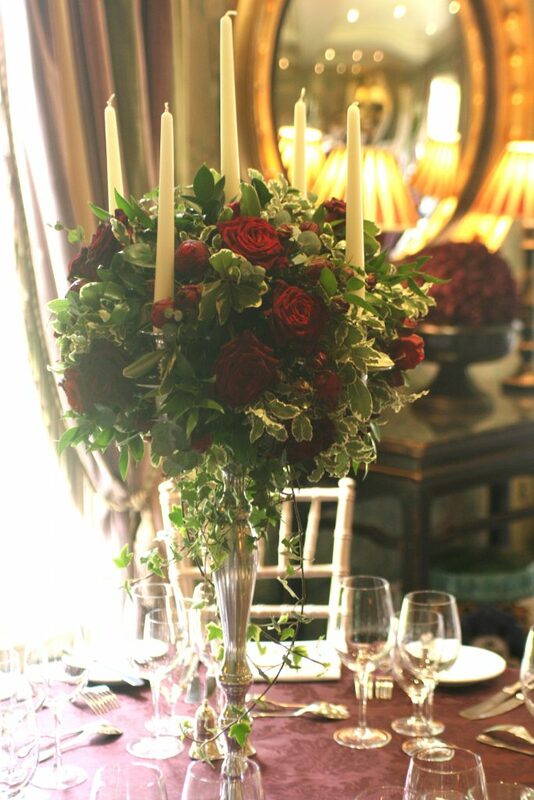 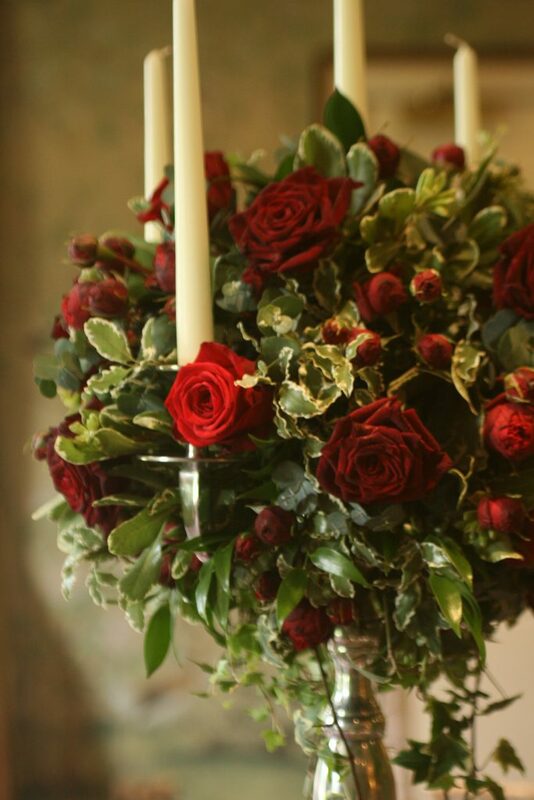 I supplied tall candelabra with lots of soft trailing foliage and red roses for the table centrepieces in the Garden Room. 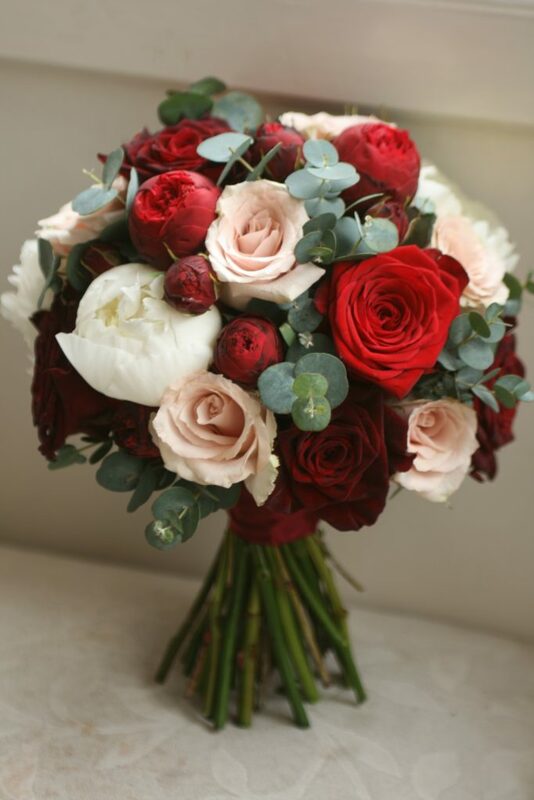 Maria’s bouquet included black baccara roses, red Naomi roses, spray piano roses, quicksand roses, peonies and eucalyptus and Romain’s buttonhole complimented Maria’s bouquet with a single burgundy rose, foliage and ribbon. 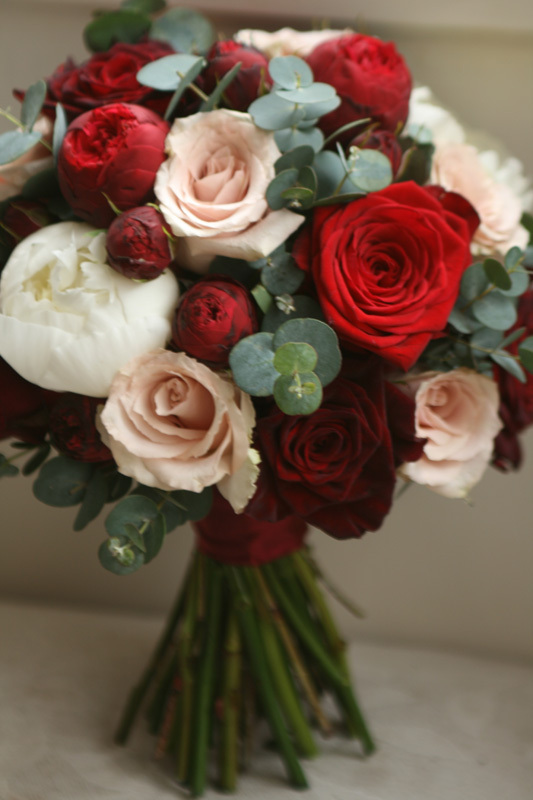 Congratulations to you both and best wishes for the future.